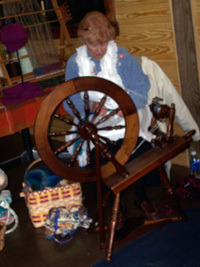 The Heritage Village Spinners and Weavers Guild was formed in November 1993 by local area residents for the purpose of furthering the knowledge of the fiber arts of spinning and weaving. The guild’s main purpose was to provide knowledgeable demonstrators for school groups that frequent Heritage Village. The Guild meets on the second Saturday of every month in the Fiber Arts building at 9 am. The talents of the members span the range of the fiber arts and welcome all. July 6-9, 2017 - Weaving 101 Class - An Introduction to the Art of Weaving - hosted by Heritage Village Fiber Arts. Learn to read a weaving draft, create a warp, warp a loom & weave a sample. Contact: Call 409-383-7787 for more information and for a reservation. 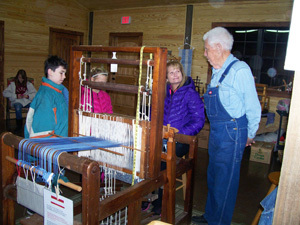 Heritage Village Museum, 409-283-2272 or 1-800-323-0389.